This week’s manicure look “Its Just Another Mani Monday”, needed to match up the Canadian Comedian’s gown for The Canadian Screen Awards, a.k.a Gemini Awards. Have a look at the slide show at the design Candy Palmater chose to rock with her Award show attire. What is Happening this week? It is East Coast Music Awards week. The ECMA’s are in Halifax, and it is a busy week for Candy. Candy Palmater has been nominated for an ECMA – media person of the year, with her National television show, The Candy Show. The Candy Show has a Canadian Screen (Gemini) Nomination for Season 2, for best direction. This is a great year so far for the Canadian Aboriginal Comedian! Candy Palmater is hosting the 3 Molson late night stage Gala’s at the Delta Halifax. For tickets to the show, go to the ECMA website. Wow, what a week. This week’s manicure was inspired by the gown I wore to perform stand up comedy at the 20th annual Indpsire Awards Gala, held in Saskatoon of February 15th, 2013. The color matched my gown perfectly, have a look. More news, Season 3 The Candy Show Premiere, and ECMA hosting news coming up tomorrow. I wanted to share with all of you the manicure for today. Candy has a new manicure she is rocking this week. Candy will be performing at the Indspire Awards Gala Show, so it is important to match her nails to her gown. 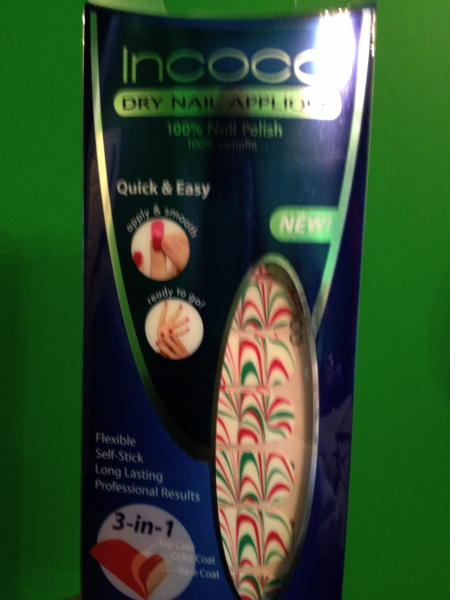 This week’s look is a nail applique by Incoco called “Best Dressed”. Check it out. Candy is on another National Magazine cover. SAY Magazine, a National Aboriginal Magazine. Good Monday morning fabulous people. Monday means a new manicure look, and this week is a Valentine’s Day look. I am not all that happy how it turned out, but I wanted to share with you all anyway. Next time I try this look, I will use black nail polish and not white. Have a look. Bottom layer: Essie in “Blanc” ( Next time I will use black for this look, didn’t like how the white looked with the sparkle). Please subscribe to my website, it’s free and easy to do. 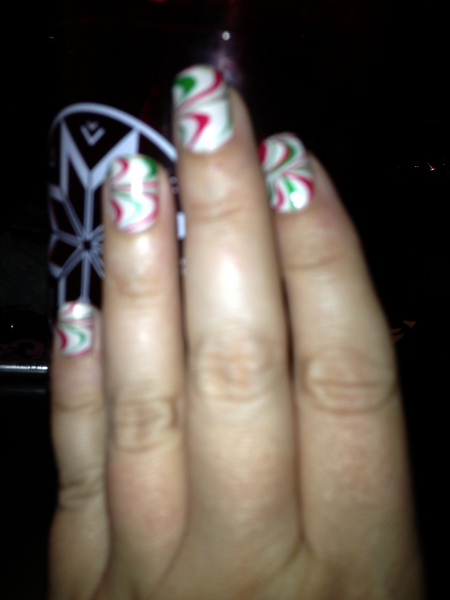 Do not miss out on my Manicure’s, comedy shows, The Candy Show TV series and much more. Follow my Calendar, you never know when I might be in your area. Thank you to all of you for your continued support. Aboriginal Comedian and TV Personality, Candy Palmater, loves make up and everything pretty/ shiny/ glittery. To lighten up everyone’s Monday she has created “Its Just Another Mani Monday” exclusive to her website. Candy shares with all of you wonderful people the manicure she is currently rocking, a new look each week. Candy Palmater and her team are getting ready for Season 4 The Candy Show Production, and today Candy will be heading to Silver City Tattoo to receive a part of a tattoo from Kirt Silver. He will be one of the guests on Season 4, where Candy will be tattooed live on set in front of a full audience. Good morning and Happy Monday gorgeous people. Here is this week’s look I am rocking. Enjoy! Did you know Candy Palmater is on Twitter, Facebook Fan Page, YouTube ( 2 Channels): Lifestyle Channel, and Comedy & TV Channel. Be sure to follow, like and subscribe., you would not want to miss out on something…. The Candy Show was Nominated for a Gemini Award ( Canadian Screen Award), for Best Direction in a Variety or Comedy TV Series. Very exciting. The Candy Show Season 3 Premieres on February 20th, 2013 on APTN and APTN HD, prime time. Check your service provider in your time zone for exact times. Good Monday morning beautiful people. I have two looks for you today, kind of the last 2 of the Holiday season. ( this season is so short when it comes to the many styles and colours for the season, so I am doubling up on “Its Just Another Mani Monday” for you today. Thank you everyone for your continued love and support. 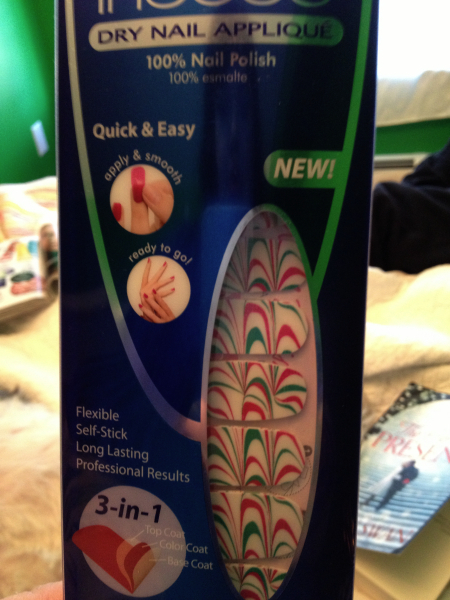 Stay tuned for more information, 2013 is a big year for me and everyone in The Candy Show business. My Manager will be posting most of my vlogs/ blogs, updates, News and more…. See you again very soon for updates, gigs, and more for 2013…. Happy New Year! Good morning gorgeous people. In light of Christmas quickly approaching, I have another great look for you to enjoy. 2. 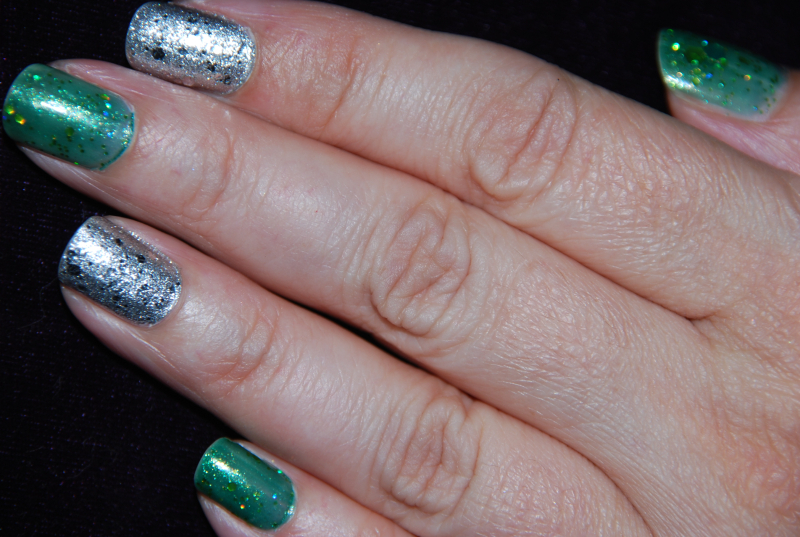 Polishes: GREEN: 1st apply “Under the Mistletoe” by Julie, then over this layer, I used the color “NPG 163” by NYX girls. My YouTube Channels: Life Style Channel and my Comedy Channel ( Season 2 of My TV show , The Candy Show, will be uploaded in January 2013. Good Monday everyone. 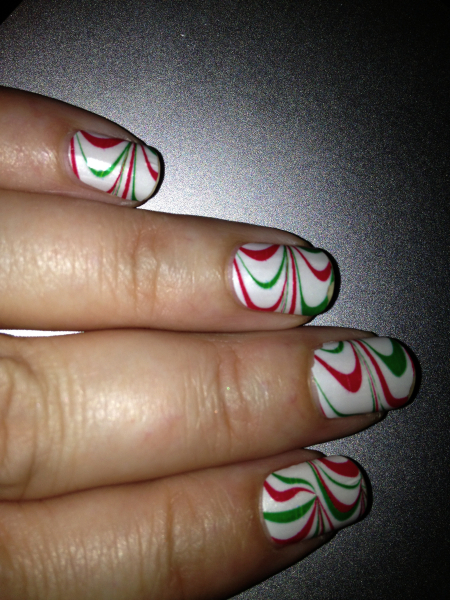 Its Just Another Mani Monday, and not just any Mani Monday, but a Holiday style from Incoco called “Peppermint Swirl”. I like to rotate my weekly manicure with a nail applique one week then Nail polish the next. Here is my look for this week. Hope you enjoy! Please feel free to leave me your comment, and don;t leave without SUBSCRIBING to my website. National TV Series (The Candy Show) – Watch past 2 Seasons Here ( Season 3 will air February 2013 and Season 4 will be in Production April 2013 with 13 episodes). Happy Glittery Holiday, see you next week.